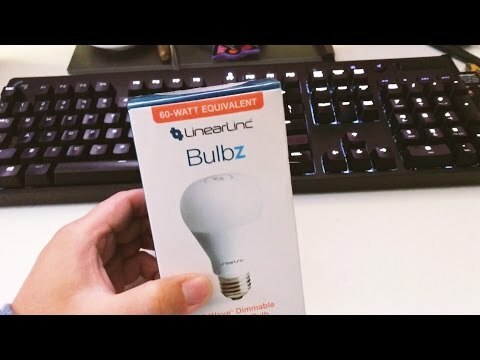 The GoControl Z-Wave Dimmable LED Light Bulb connects to your Z-Wave smart home network to provide super-energy efficient, customizable, remotely controlled smart lighting in any indoor area of your home. Use your Z-Wave controller or hub (sold separately) to automate this bulb's function, or control it remotely via a variety of mobile devices. The GoControl Z-Wave Dimmable LED Light Bulb lasts longer than traditional light bulbs, and it uses just 9 watts to achieve the brightness of a 60-watt incandescent bulb, saving both energy and money. 60 Watt equivalent light (750 lumens). 2700K soft light with frosted glass. Instant ON and fully dimmable. Very simple to include in your network.